Innovations in governance are among the signature achievements of the AIDS response which have redrawn the canvas upon which global governance is exercised. Nonetheless, fundamental shifts in the political and economic context call for yet new approaches. In introducing this Special Issue, we illustrate several significant governance innovations of the AIDS response. 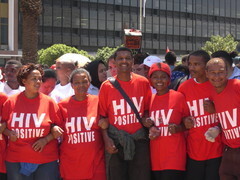 These include: unprecedented global political commitment and accountability for a health issue; expanded political space for affected people and the utilization of human rights discourse in demanding not only access to HIV-related services but to confront broader issues of social justice; and novel arrangements in the global health architecture. Drawing from these innovations, and in response to key governance challenges, this paper presents an AIDS governance action agenda underpinned by three interrelated principles: first, the exceptional role that affected people play to radically alter the construction of vulnerability and risk of disease; second, the pivotal importance of relevant, effective responses that are essentially owned by the people that they are meant to serve, and; third, the force of movements to tip the scales of power through creative approaches to framing, litigation and transnational political strategies. Working together with the wider community, the HIV response can continue to transform the way that it governs the complexities inherent in advancing development, dignity and human rights.